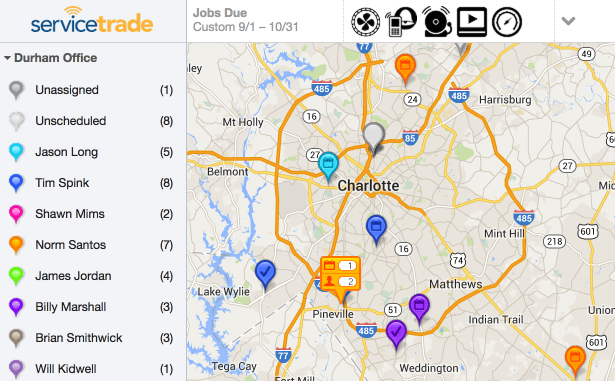 View all work on a map to quickly and easily schedule one-time and recurring work. Reduce technician drive time and do more jobs with efficient routing. 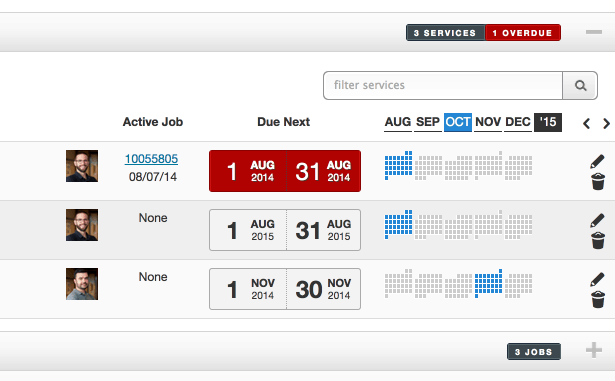 Open your free account to see how efficient scheduling can be. 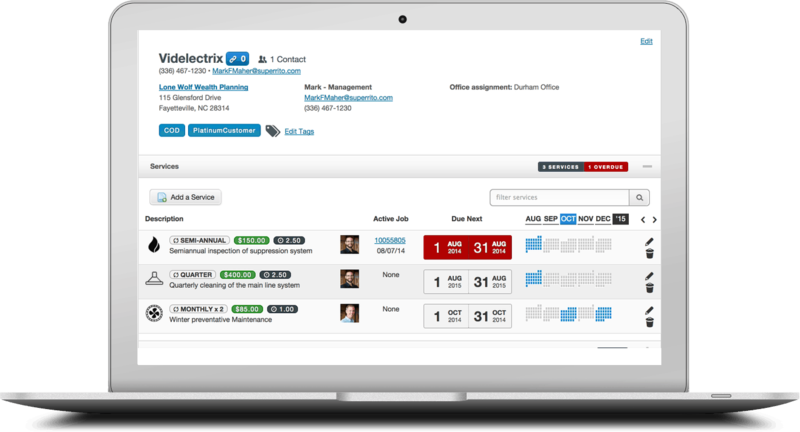 Simplify scheduling so that anyone can do it. Remove the complexity to make your techs more productive. Never miss or forget periodic work. 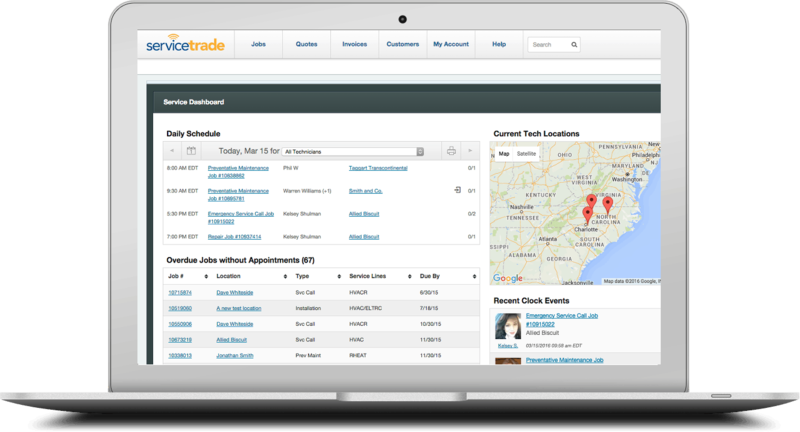 Set up customers once and ServiceTrade automatically creates recurring services. 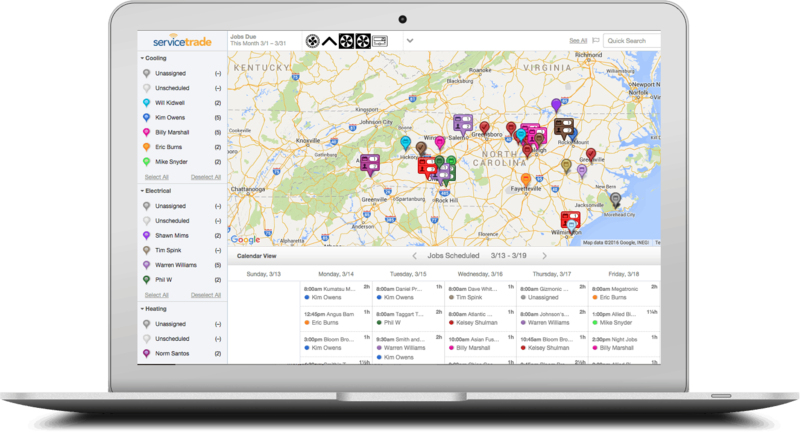 Take the regional expertise out of scheduling. 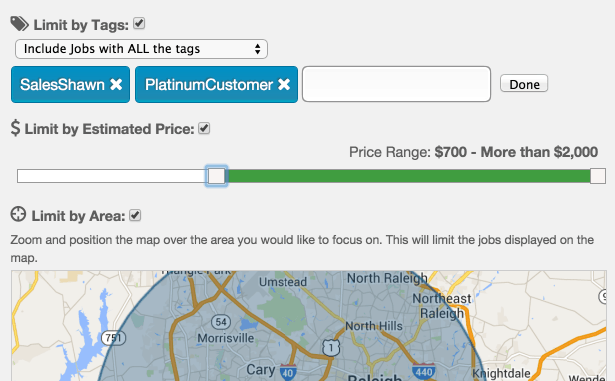 View all of your jobs on a map to create efficient routes. Not all work is equal. Easily sort your work to keep the customer happy and maximize your revenue. Drive time wastes fuel and productivity. Build routes that reduce mileage and maximize billable time.